The last time the Seahawks and Redskins met – it was for all the marbles. The two teams met in the postseason back in 2013, and since then the stock of the Seahawks has been sky high, while for the Redskins, it’s been a rough road. The teams meet tonight to wrap up week five of the NFL slate, and for Washington, it’s a shot to make a huge statement against the defending Super Bowl champs. Washington enters the game at 1-3, with their only win over the 0-5 Jaguars. The Seahawks are 3-1, their only setback a loss in week two to the Chargers. Kirk Cousins has been solid at QB for the Redskins, playing for the injured Robert Griffin III, and will look to build on that at home against a very good Seahawks defense. He will have to rebound from a bad loss to the Giants a week ago Thursday, and will try to not only avoid the Seahawks rush, but get his team off to a much quicker start. “A lot goes on with the NFL. 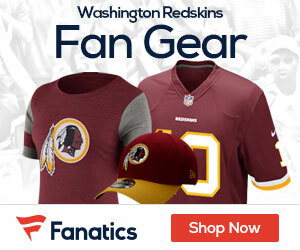 A lot goes on with winning and losing,” Redskins linebacker Brian Orakpo said. “Obviously those guys have been winning and we’ve been losing, so that’s what happens with the coaching change and that’s what happens with them winning the Super Bowl the next year. As if things are bad enough for the Redskins, the team you don’t want to play on Monday Night Football is Seattle. All they have done is put up eight consecutive victories over the past nine years under the Monday lights. The Redskins will try and counter the Hawks with the ground game, led by Alfred Morris, who is fifth in the NFL with 316 yards. It would be wise to not force Cousins to throw against the very good Seattle secondary. For the Hawks, they will of course put the ball often in Russell Wilson’s hands, as to date he’s thrown for 651 yards, six TD’s and just one pick. Wilson has been good not to force the ball early in 2014. 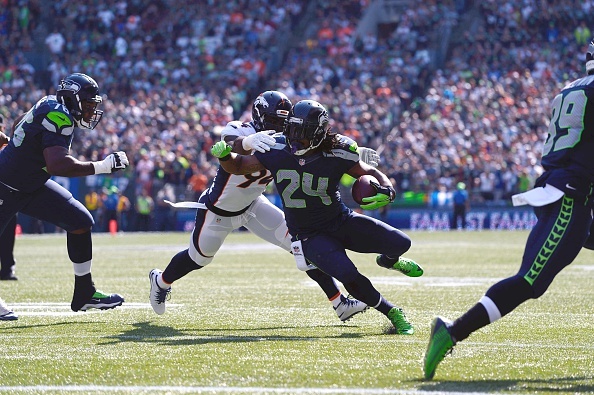 Seattle will also rely on the run game of Marshawn Lynch, who has 234 yards in 2014 and made an impression upon the Redskins in the 2013 playoff game with 132 yards and one score. All in all, this is a game that the Seahawks should have won after three quarters. The Redskins are a team under new coach Jay Gruden trying to find themselves, and they won’t do it against the Champs.